Pro Pilkki 2 - Unterstützte Software - PlayOnLinux - Run your Windows applications on Linux easily! 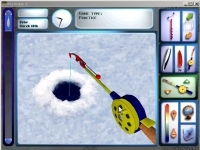 Popular virtual ice fishing game. It's a realistic ice fishing game which has a broad community around the north and east parts of Europe. Not only does that game have multiplayer but also people host world tournament and championships. Prepare for the most realistic ice fishing game in the world. -which pulseaudio && Set_OS "winxp"
+mv "PP2_download.php?id=0" "P2Installer_v1.2.exe" || POL_Debug_Fatal "$(eval_gettext 'Error rename the file!')" +POL_Wine "$POL_System_TmpDir/P2Installer_v1.2.exe" || POL_Debug_Fatal "$(eval_gettext 'Error file installing!')" +POL_Shortcut "ProPilkki2.exe" "$TITLE" || POL_Debug_Fatal "$(eval_gettext 'Error in shortcut!')" mv "PP2_download.php?id=0" "P2Installer_v1.2.exe" || POL_Debug_Fatal "$(eval_gettext 'Error rename the file!')" POL_Wine "$POL_System_TmpDir/P2Installer_v1.2.exe" || POL_Debug_Fatal "$(eval_gettext 'Error file installing!')" POL_Shortcut "ProPilkki2.exe" "$TITLE" || POL_Debug_Fatal "$(eval_gettext 'Error in shortcut!')" You remove your previous patch ? yes. no needed anymore. The patch is included in the program file. The patch section has an older version of patch that update the older version as a new one. +which pulseaudio && Set_OS "win8"
which pulseaudio && Set_OS "win8"
fixed shortcut for mac users. +mv "PP2_download.php?id=0" "P2Installer_v1.1.exe" || POL_Debug_Fatal "$(eval_gettext 'Error rename the file!')" +POL_Wine "$POL_System_TmpDir/P2Installer_v1.1.exe" || POL_Debug_Fatal "$(eval_gettext 'Error file installing!')" +	# Download update file. +	mv "PP2_download.php?id=0" "P2Updater_v1.1.5.exe" || POL_Debug_Fatal "$(eval_gettext 'Error rename the file!')" +	POL_Wine "$POL_System_TmpDir/P2Updater_v1.1.5.exe" || POL_Debug_Fatal "$(eval_gettext 'Error file installing!')" mv "PP2_download.php?id=0" "P2Installer_v1.1.exe" || POL_Debug_Fatal "$(eval_gettext 'Error rename the file!')" POL_Wine "$POL_System_TmpDir/P2Installer_v1.1.exe" || POL_Debug_Fatal "$(eval_gettext 'Error file installing!')" mv "PP2_download.php?id=0" "P2Updater_v1.1.5.exe" || POL_Debug_Fatal "$(eval_gettext 'Error rename the file!')" POL_Wine "$POL_System_TmpDir/P2Updater_v1.1.5.exe" || POL_Debug_Fatal "$(eval_gettext 'Error file installing!')" +POL_Shortcut 'ProPilkki2.exe' "$TITLE" || POL_Debug_Fatal "$(eval_gettext 'Error in shortcut!')" 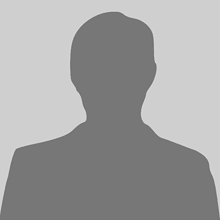 POL_Shortcut 'ProPilkki2.exe' "$TITLE" || POL_Debug_Fatal "$(eval_gettext 'Error in shortcut!')" This is a new installer for new players. * Add question. Do you want to install Pro Pilkki 2 v.1.1.5 update? Does not work for me... Error in POL_Shortcut. The installer does not give an option to change the installation directory so I don't know how I can cause this issue, or resolve it either..
in mac version or linux version? Don't change installer directory. (windows game installer) The Playonlinux or playonmac program does not work that way. You get Error in POL_Shortcut error. Playonmac version. I did nothing except clicking directly the "Install this program" button right up there and even tried the updated 1.1 version. I did not change any installation directories because it is not even possible on Pro Pilkki 2 installer. And I haven't messed up with any playonmac settings. Just plain raw installed it to Applications folder in my Mac and right after that tried your installer provided here. it is new installer not updater. New version 1.0.6. Removed md5 check.